The shotguns are from Anvil Industry. 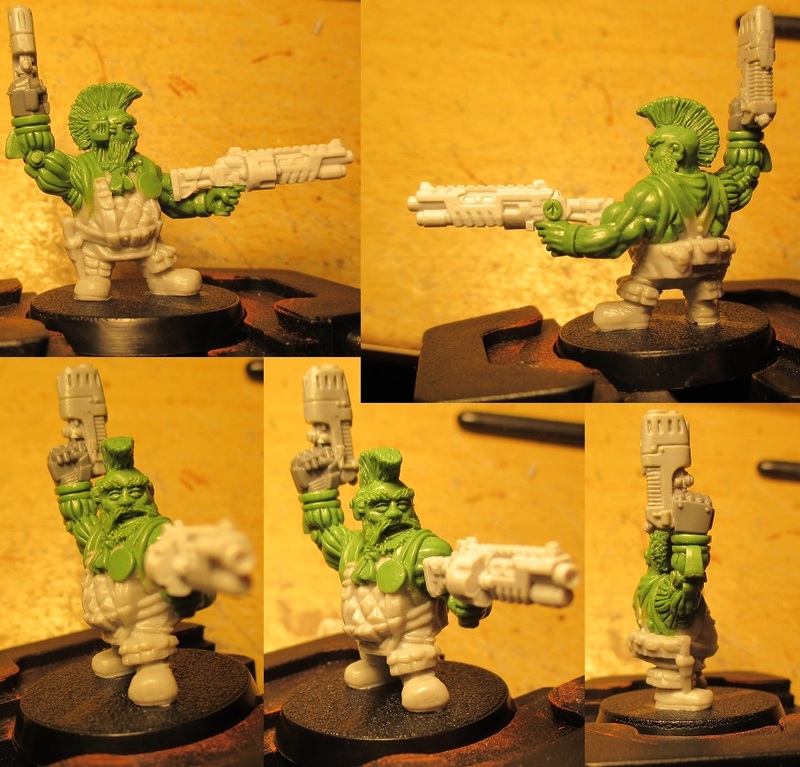 I have also dug out a plastic body and have started to sculpt Colonel 'Iron-hand' Straken... I have just started him so I don't have any pix yet . You've captured those dwarfy likenesses of the predator crew very well. Any small statured predator in the works? No predator is planned... however, I guess I could put together an Eversor Assassin at some point (then it could double as a predator but still be part of the army)... but it isn't a plan for the near future . I've got existing troops to finish off so I want to keep plugging on with those... speaking of which, I have nearly finished Colonel 'Iron-hand' Straken so there will be pictures of him in the not too distant future . I've hit a firework moment . You know? When you want to focus on one thing but there are so many bright and sparkly ideas out there that you spend all your time watching and thinking... and no time actually DOING? Yep... it's like that at the moment. ...so I've ordered some cheap, Russian, 54mm Minotaurs ( http://www.tehnolog.ru/images/forthcoming/art_minotavri.jpg ) to act as donor models for the project. I've ordered 12 so there will be plenty to mess around with / chop up... and they cost £13.00 including postage so not very expensive at all. ... and that means that I have sort of lost my sculpting muse and have stopped sleeping . Creative processes, eh? Those ambots look great with the head you have put on (well glass pane) great stuff. I'm keen on getting an Ambull myself and chopping off the insect bits hanging on. 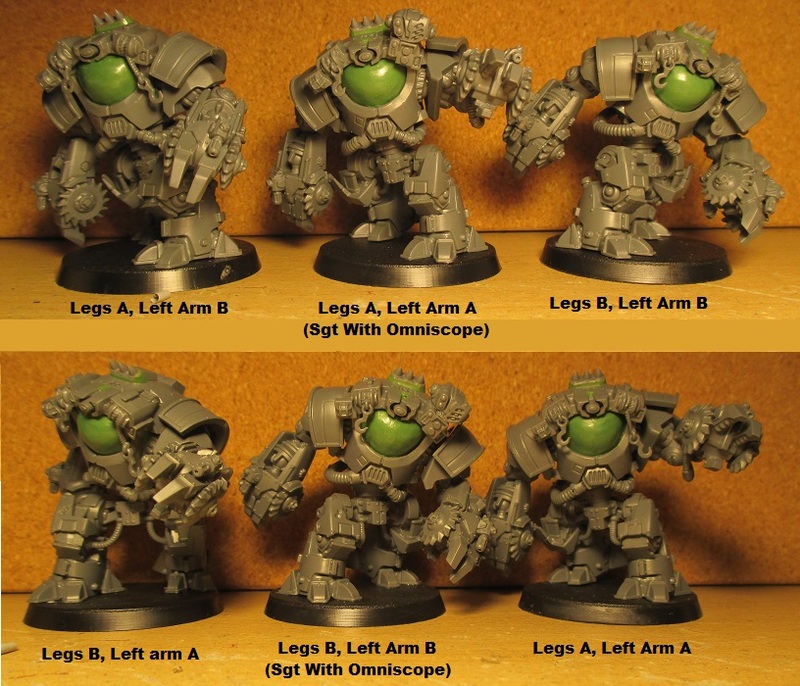 I bought some technolog orcs, 54mm. They are great as big beasties! 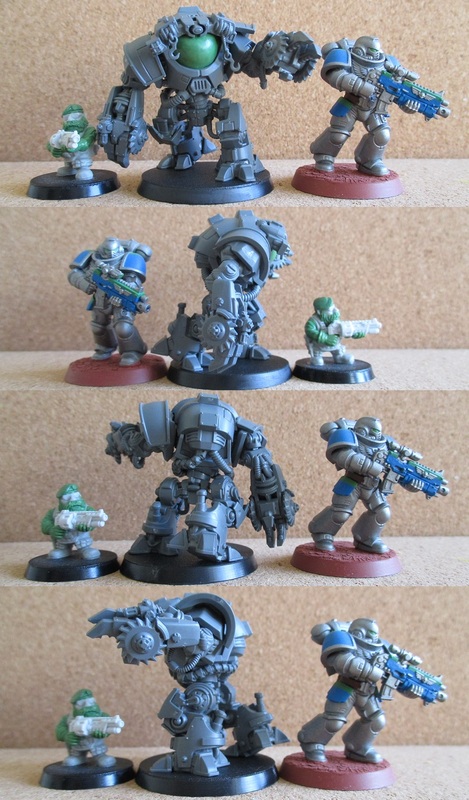 I have now finished both units and have included two Sgts with 'omniscope' conversion from bits of the kit . I have included a note for each of the poses and all of the four possible poses are shown. For info, the right arm only fits in one position, whereas the left has two.